One of the latest Smartphone which has appeared on the market is the Oppo F5. This device made by the company whose headquarters are located in China is one of the most attractive smartphone with a good camera and excellent battery life performances. A really slim – at 7.5 mm thick – and light cellphone – with a weight of 152 grams – is, as most of the company mobile products, more focused on the camera performance than any other aspects of the device. That is why this company’s cellphones are being called the Selfie Phone. Few phones are so obsessed with this particular function of taking pictures of oneself as the ones made by this company. This particular smartphone has a dual camera option with the front camera having a resolution of 20 megapixels and the rear one with a 16 megapixels resolution. Those resolutions make this machine a trustable one in reference to obtain a good photo in any resolution. But the conditions the pictures are taken influence a great deal in the final result, a good lighting is needed to get the best pictures. Oppo F5 uses an Android 7.1.1 operating system along with the company’s ColorOS system on top which make the interface rejects the UI changes that Google has made recently, furthermore it doesn’t have an apps menu. The best thing offered by the company operating system is Themes, which allow the user to change the icons to make them larger or smaller; although, the options in Themes to be selected have many misses than hits for customize your screen. Another positive aspect is that most of the Themes are free to download. The ColorOS system also permits the owner of the device to change the aspect of the notifications, giving them an aspect closer to a card-like mode found on older Android versions. 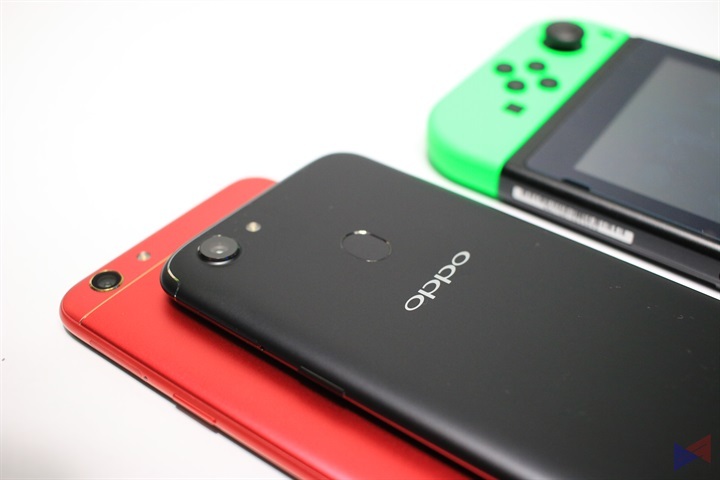 The use of the Android OS is not as intended by Google, but the ColorOS gives the phone a particular worthy aspect to be taken into consideration. The screen is a 6-inch display in a shell that an user normally see in a 5.5 display. With a resolution of 2160 x 1080; due to this aspect, the device has been named to have a “Full HD+” characteristic. This resolution allows the user to display movies with an aspect closer to the one shown in movie theaters, and also allows the owner to play some games, but mostly those related to the console type, such as emulators for older video games. But mostly, this screen resolution works well, but it doesn’t have the sharpness, color depth and tones of other devices in the low-mid range smartphones. The design is not made of metal like some other cellphones in the same range. It is made of nano-coated plastic, designed for waterproofing your device although there are no indications that this phone is water resistant. It feels a little awkward to the touch, but it only gets a little familiarity with this and it works fine. In general terms, the Oppo F5 is a good device with certain limitations about final pictures result, gaming, and the usage of Android OS; but if the user is looking for a good selfie photo device, this product is a good choice.